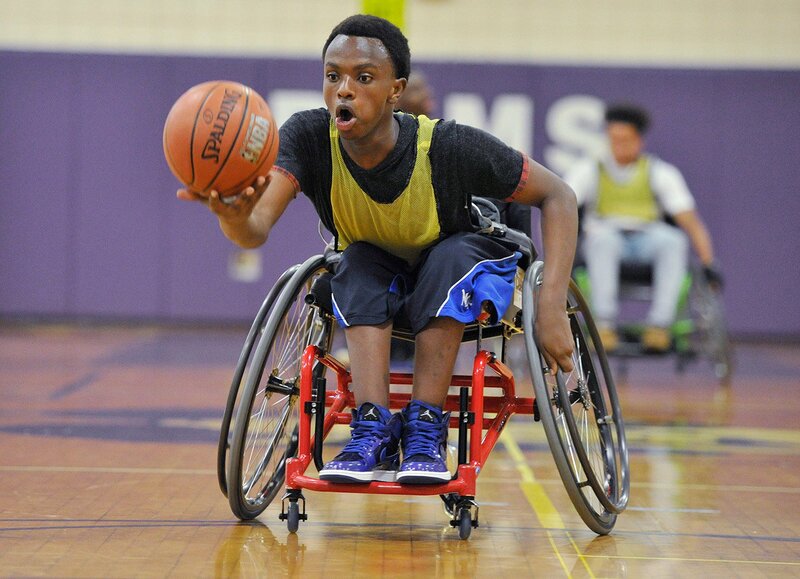 Patrick Uwamahoro's wheelchair doesn't stop him from playing the game he loves: basketball. 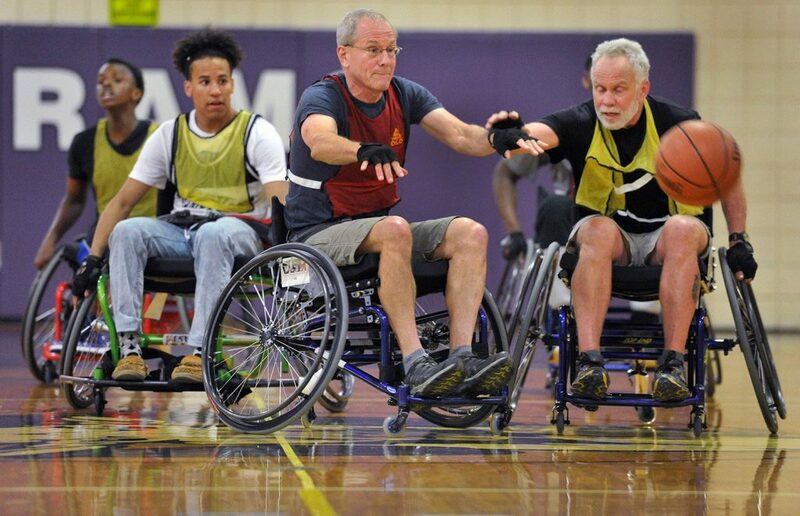 Veterans Adaptive Sports & Training, a program promoting health and well being for people with disabilities, held an exhibition wheelchair basketball game Wednesday at Deering High School. 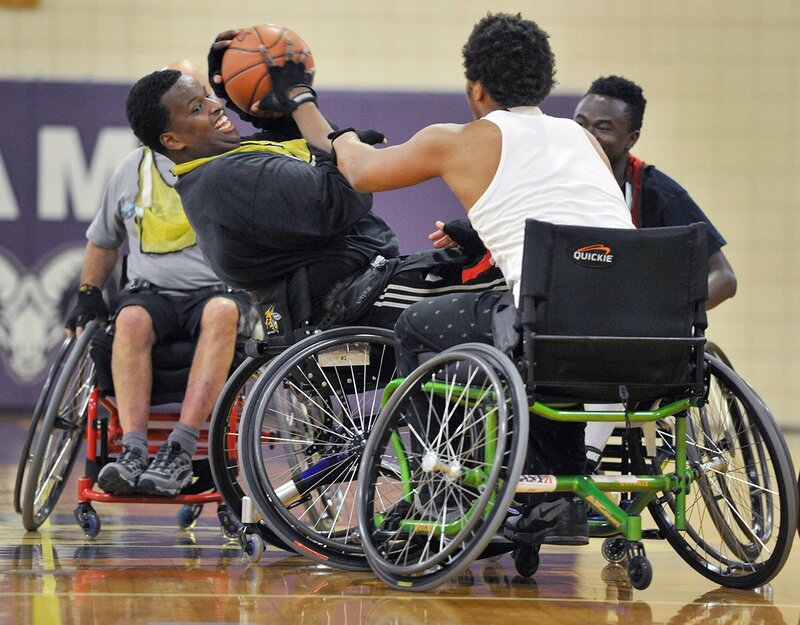 Patrick looks for a rebound while warming up before the game. 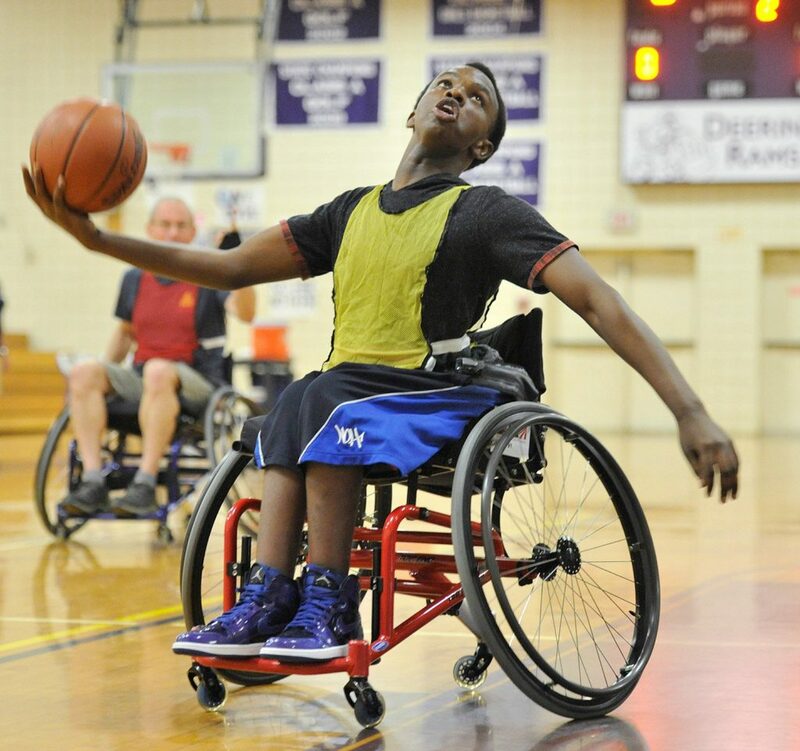 Deering High senior Patrick Uwamahoro protects the ball from defender Casey Anthony during Wednesday's exhibition game in Portland. Patrick Uwamahoro gets ready to pass the ball up court during the game. 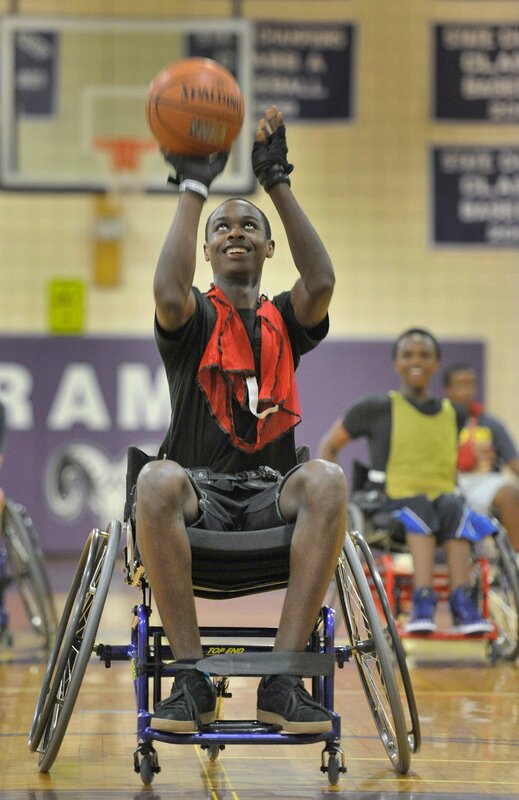 Patrick Uwamahoro puts up a shot during Wednesday's exhibition wheelchair basketball game at Deering High School. 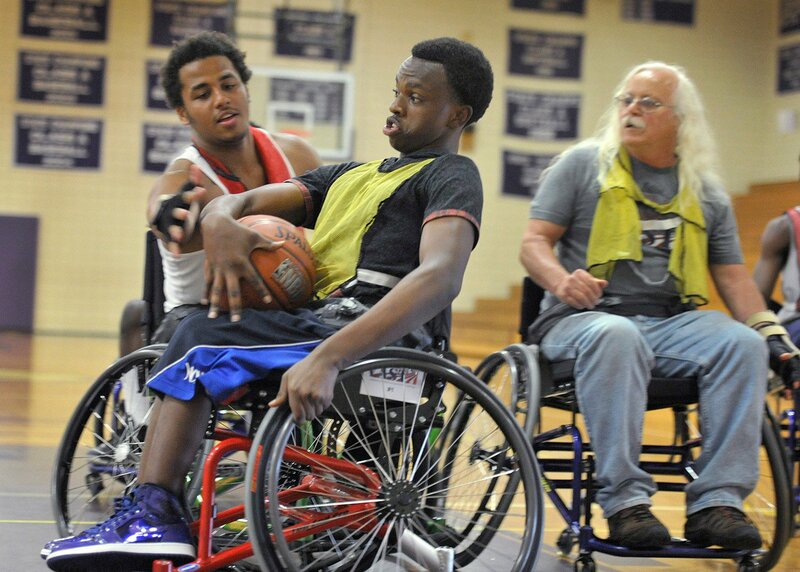 Veterans Adaptive Sports & Training members Eric Dunn, left, from North Yarmouth and Mike Gray from Monmouth chase down a loose ball. 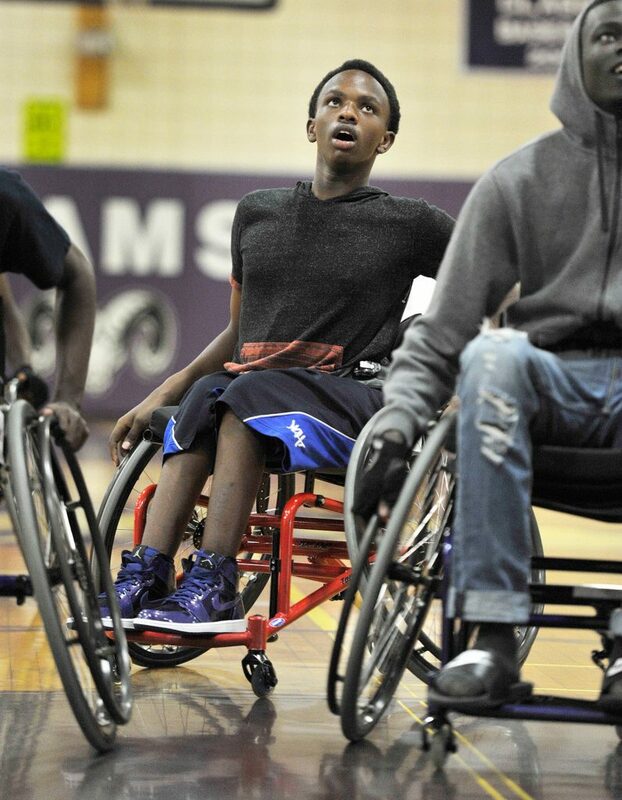 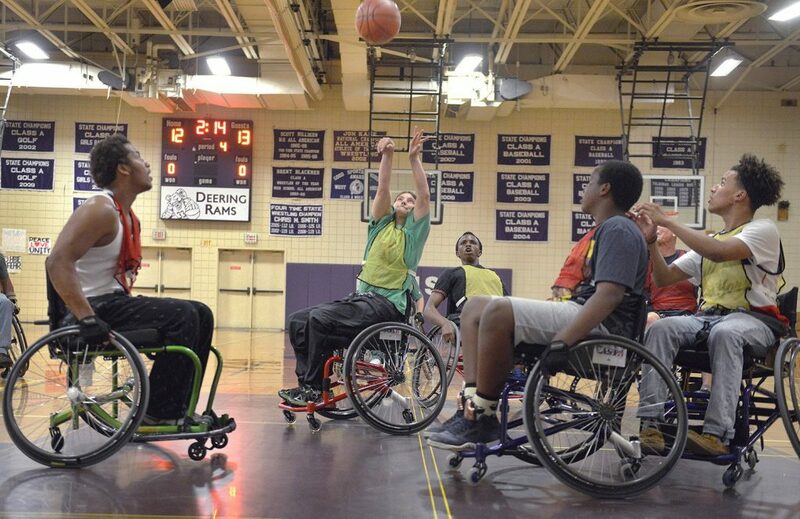 Deering High School junior Kevin Nishimwe tries his hand at shooting a free throw from a borrowed wheelchair. Deering High School junior Julio Ali tries to keep the ball away from classmate Casey Anthony during Wednesday's exhibition at the school. Veterans Adaptive Sports & Training volunteer Amy Sherwood shoots during the exhibition game Wednesday night at Deering High School.